So the very people who are seemingly going against Abe Christie are also one defending him on my YouTube stations. So how does that work? It seems to me that they are working in conjunction with each other. 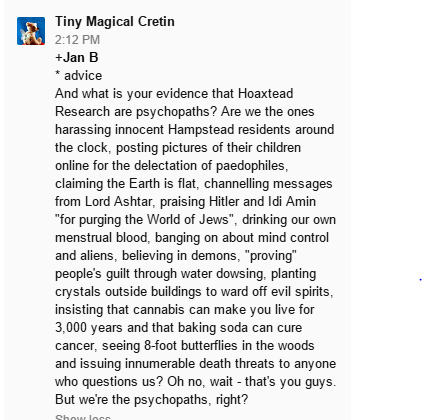 Otherwise- why are the Hoaxstead people- who are supposedly against Abe- defending him on my YouTube videos? Seems I was right all along- they are working in conjunction with each other.